You may have grown accustomed, as we have, to hearing sad news about the animals with whom we share the planet. It sometimes seems we are all on the brink of extinction, owing to human activities like using fossil fuels or going to the store to buy potato chips. So when the increasingly rare glimpse of good news comes along, we hold our breath. Breathe out: On Wednesday, the annual count of monarch butterflies overwintering in Mexico was announced. Their numbers are up 144 percent over last year’s count. It’s the most monarchs counted there since 2006. It is nearly a miracle. The monarch is still endangered, biologists say, and it is being considered for Endangered Species Act protection, with a final decision due in June. But there is cause for celebration, if only for today. Monarch butterflies in North America spend their summers in the northern parts of the continent, in their breeding season, and travel thousands of miles south each winter, blamelessly seeking the warmth of the sun. Almost all of them winter in Mexico, although some on the west side of the Rockies go to coastal southern California, and it would appear that some monarchs that pass through the Inter-mountain West go to each place. The south-of-the-border butterflies congregate in pine and fir forests on mountaintops in central Mexico. Scientists from the World Wildlife Fund count them by estimating the area of trees turned orange by their clusters. Last year, it was six acres. This year, it’s 15 acres. Environmentalists in Mexico burst into applause at the announcement. The butterflies are endangered by their loss of habitat. It’s thought to result from increased herbicide spraying on crops such as corn and soybeans that have been genetically modified to withstand it. The herbicides are toxic for monarch caterpillars, however. The butterflies and their caterpillars primarily eat milkweed. Conservationists have been encouraging people on their migration path to cultivate or conserve it, as Ed and Patti Zink have on their land north of Durango. Durango Nature Studies has been giving out packets of native milkweed seeds. The Durango & Silverton Narrow Gauge Railroad and volunteers have restored milkweed habitat at the rail yard in Hermosa. All of this seems to be helping the butterflies, along with favorably cooler weather last year. The big orange clusters in Mexico this winter are “a thank-you from the butterflies to all the people who planted native milkweeds and switched to organic corn and soy products,” said Tierra Curry of the Center for Biological Diversity. 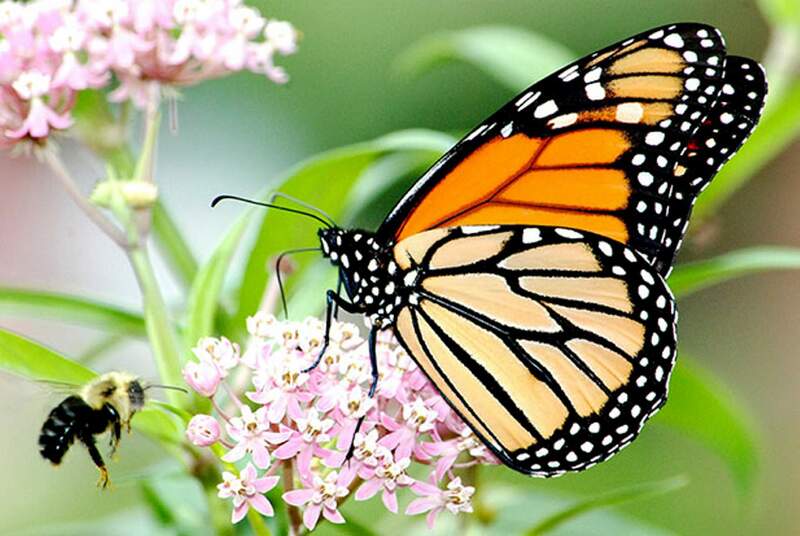 You will sometimes hear about the Butterfly Effect, whereby a monarch flapping its wings in Mexico could eventually cause a hurricane in China. What we may have here is something like the reverse, where people of good will, doing a few simple things such as letting milkweed be on a ranch or switching types of crops, can cause more monarchs to flutter their tangerine and marigold wings on Mexico’s mountaintops – and eventually make their way back through these mountains. This is not a reprieve for the butterfly. Not yet, at any rate. Their numbers are still plumbing historic lows, particularly in California. But we are going to take our good news where we can get it. We might just play Johnny Darrell’s “Why You Been Gone So Long,” even if we do know the answer.